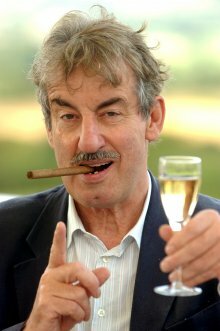 Only Fools And Boycie – An intimate evening with Only Fools And Horses actor John Challis. Enjoy an intimate evening with John Challis, one of the nation’s greatest comedy actors, best known as Boycie in BBC1’s Only Fools and Horses. In this one-off show the national treasure will reveal secrets from the set with stories and anecdotes from his dazzling career. Having worked with some of the biggest names in show business, he’ll be spilling the beans about Only Fools and Horses co-stars like Sir David Jason and Nicholas Lyndhurst and friends and fellow performers like The Beatles, The Rolling Stones, Oliver Reed and George Best. He’ll also recall tales from his time in Dr Who, Coronation Street and other TV classics. Mr Challis will also meet fans after the show to sign autographs and pose for pictures, while signing copies of his autobiography, Being Boycie, and novel, Reggie: A Stag At Bay. Show running time: 90 minutes with 20 minute interval.